Sarah completed her internship with ExRx.net during her final semester at Penn State University. She updated and expanded the supplement reviews under the nutrition section of the site, answered visitors questions, as well as calculated percentage bodyweight for plyometric movements. Sarah is an Olympic Weightlifter who enjoys sharing her knowledge/passion for health and fitness with others. Chris was a teaching assistant at Georgia Tech Professional Education when he joined ExRx.net. During his internship, Christopher analyzed and reinterpreted outdated app requirements into a more modern, responsive design. He utilized standard tooling and best practices in order to migrate the abandoned project from jQuery to React, and also gained some very valuable experience as a lead developer along the way. I'm not going to lie, this internship was hard, but hard in a good way. It challenged every perception I had about programming, project organization, and decision making. The skills that I gained from working with James and Weng have proven to be invaluable, and without this opportunity I would not have gotten the position at Hiscox. I want to personally thank you, James, for playing a key role in kick starting my career as a professional developer. Sophia completed an internship with ExRx.net during her final semester at Emporia State University. Sophia improved the ExRx.net Weight Training exam for NSCA CEUs. She created new questions and validated the exam by administering/ analyzing test results of volunteers she had recruited. Sophia is currently working at the Onslow County Health Department and attending Grad School. The time I had with the team at ExRx.net has been a valuable experience. I had a chance to learn new programming languages and work on various parts of the web app project. The internship has allowed me to appreciate building a web app/web site. Furthermore, I enjoyed getting to work with people around the world. Suemayah completed her Bsc at Taibah University with First Class Honours before joining the ExRx.net internship program. She is a self motivated and aspiring individual who researched and implemented several technologies to contribute to the front and back end development for the upcoming ExRx web app. After her internship, she also served as a partner web app developer at ExRx.net for an additional semester. While attending graduate school for his PhD in Chemistry, Jim wanted to explore the field of web development. He further developed his skills and gained experience by assisting ExRx.net in researching, installing, testing, and evaluating CMS in hopes to modernize ExRx.net. Jim was was one of the most disciplined interns, extending his internship for an entire year. Interning with James and the team at ExRx.net was a valuable experience. I came in as a self-taught web developer with no team experience. I learned a lot about web dev, especially about working as a member of a team with focused objectives. It was great to be included in the entire process - from idea conception to decision making. James was very understanding about my unorthodox internship and work schedule and was always willing to be flexible. I wish the best of luck to James and the rest of the ExRx.net team completing their web projects - I wish I could stay on to continue helping! Stu was completing his Masters Degree in Computer Science in Bronx, New York. He assisted ExRx.net in researching, installing, testing, and evaluating CMS in hopes to modernize ExRx.net. Jeff was completing his second degree in Computer Science at SUNY Potsdam. Jeff created the CSS to make ExRx.net responsive and assisted with implementing the bread crumb navigation on TenReps.com. He researched various technologies and attended the Weewok.com meetings, offering valuable advice and insight for our map app. It has been great working with you as well James. Thanks for the opportunity! I definitely learned a lot. I felt very included in the active development of your projects. I enjoyed consulting on various projects and seeing different aspects in the development process, it gave me a lot of insight. It was also pretty amazing to work with different people located all over the world. This internship truly exceeded my expectations and I will be able to use the skills obtained not only in my future career, but in life as well. I want to thank you for taking me on and providing me with this experience. I appreciate how accommodating you were in training me and helping me to become more confident in planning and maintaining my own tasks. Not only did I gain useful knowledge in becoming self-sufficient, but I also gained computer skills and research/writing skills that are extremely important when applying for medical school. Kaustubh was completing his Master of Science degree in Computer Science at University of Missouri, Kansas City. He has completed his Bachelor of Engineering in Computer Science. 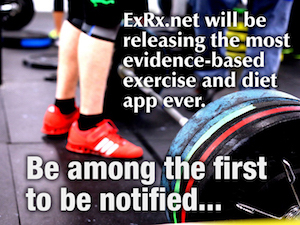 Kaustubh worked on early prototypes of an exercise prescription application for ExRx.net LLC. He also worked as a Graduate Teaching Assistant at University of Missouri, Kansas City. John was completing his Master of Science Degree in Exercise Science at Indiana State University. He has completed an internship with St. Mary's Cardiopulmonary Rehabilitation and been an employee of several commercial fitness centers and corporate wellness programs. John enjoys rock climbing, teaching aerobics, instructing martial arts, and competing in triathlons. John assisted developing earlier designs of an exercise prescription application for ExRx.net LLC. Dylan was an employee at Spokane Athletic Club in Spokane, Washington and a junior in the Exercise Physiology and Metabolism major offered through Washington State University. He has been an intern at City Fitness in Vancouver, WA and a part of many health promoting professional organizations. His major is the only in the nation to be accredited by both the American Dietetic Association and The American College of Sports Medicine. In addition to wrestling, Dylan enjoys racquetball, yoga, hiking, and snowboarding. He has published journal work and hosted exercise and Nutrition programming on radio. After graduating, he plans to become a registered dietitian and get his Exercise Specialist license offered through ACSM.